« Are the 144,000 just Men? As we approach the end of our S.D.A probation, it’s important that we keep our “airwaves” open. 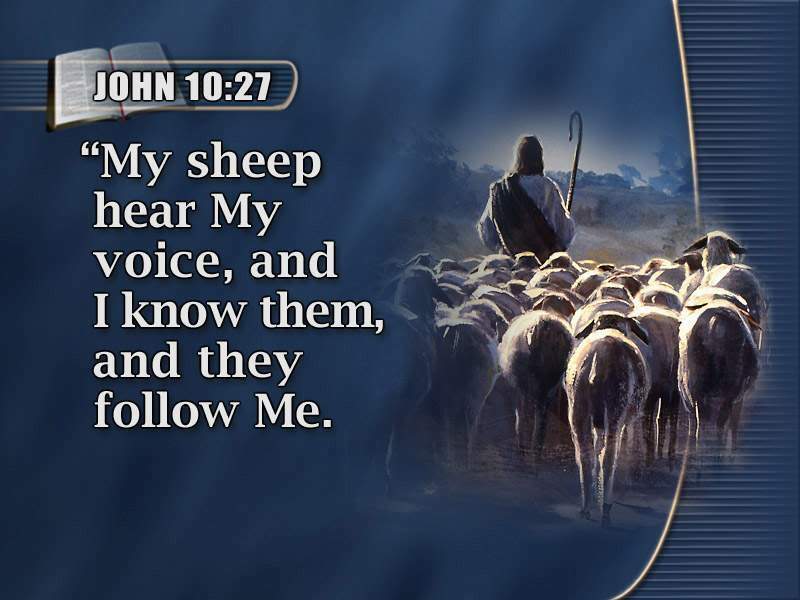 As the above words of Christ’s says, “My sheep hear My voice, and I know them, and they know Me.” (John 10:27). In today’s bombardment of advanced technological gadgetry, we are faced with sounds almost everywhere. Most of the sounds are man-made and not nature made.We go to work with the radio or stereo playing. We come home and turn the TV on and hear it nearly all night. The Lord’s voice, through the Holy Spirit, has to compete with these sounds much of our waking hours. But once we become converted, and change from worldly-minded to spiritual minded, this devil snare can quickly be halted. Speaking from my own experience, I was one who was truly addicted to music. I just had to listen nearly all the time, to the truck radio or CD’s or tapes. Pop music or Rock was the main stay. It literally was one of my all-time idols. And when the day was done, you’d often find me listening to more of the same well into the evening (if I wasn’t out carousing at a local club or casino). But conversion came and soon the Lord spoke loud and clear– cut that out! I obeyed and haven’t looked back since. The big life changing day occurred one morning when I clearly was convicted of listening to the worldly music. I had been an Adventist for only a short time, yet the Lord spoke loud and clear. I found myself so convicted that I went into the yard, and pulled out a large trash can, and went inside and grabbed all the albums (large collection) and CD’s and tapes, and tossed them into the trash can. This was a lifetime collection. Some of them were probably worth some bucks. But I had decided to “follow the Lamb wheresoever He goeth.” He spoke I acted. I would no longer drown out His voice. I could remember that day as I sat on the bed in the room pondering what had just transpired. I sensed angels flying above me, like they were giving high 5’s to one another saying, “Rob has just slayed a life long idol!” Joy swept over me and a big weight on my shoulders (spiritually speaking) had been lifted. You see, our Lord wants an imitate relationship with us, because He has things to say. He want’s to “sup” with us. In the family structure, when is the most intimate family gathering? Is it not around the supper table? This is the time where the members talk of important matters of the day, or their lives. Our Master has used this human tradition as a symbol of His communicating with us. He want’s to speak. Are we listening? Let us be mindful that our King loves us truly so much that he knocks and knocks and knocks all day and night, but we will never hear Him if we drown Him out with the world’s many counter voices and sounds. Come Lord, speak to us, we are listening. This entry was posted on September 20, 2014 at 4:29 am and is filed under Christian walk. You can follow any responses to this entry through the RSS 2.0 feed. You can leave a response, or trackback from your own site. Amen brother, Good testimony. Wherefore “let us not be weary in well doing; for in due season we shall reap, if we faint not.” Galatians 6:9. Amen, that Scripture shows a good reminder to ‘faint not” and be grounded.